Welcome to some weekend fun and entertainment with drones. We spend a lot of time scouring the web for news, information and more on all the great drones around the globe. In our travels, we encounter some fun and funny stuff, and we want to start sharing that with you. Today we will be taking a look at drones taking on rally cars in the wilderness. Next up in our series, let’s explore some fun with drones and rally cars fighting it out to be the ultimate winner. This video comes from RED-FPV which takes us through some vineyard-covered mountains showcasing the amazing driving from world champion rally driver, Sebastien Loeb. The great fast-paced visuals created by the FPV racing drone make for an entertaining video. 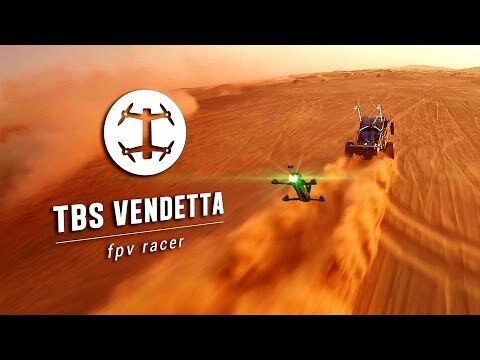 This video from Team BlackSheep takes us to the sand dunes of Dubai with FPV racing drones and 1,600 hp sand buggies. The slow-motion sand flying towards the drone along with high-speed straights creates a spectacular video.